being30 Should I Study Spanish In Madrid? 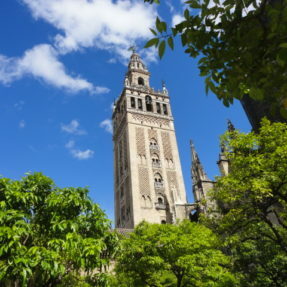 I am going to Spain in April and was going to fly straight to Seville were I was planning on spending two weeks before heading off to Salamanca and Barcelona. Unfortunately there are not many direct flights to Seville, but there are to Madrid. 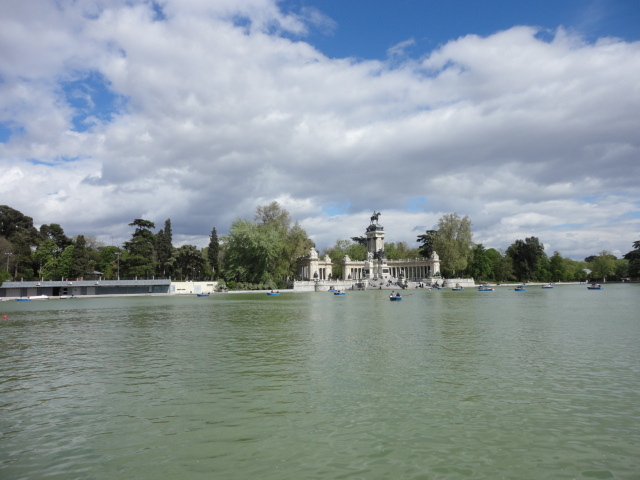 A beautiful park situated in the centre of Madrid with a boating lake. Be ware of the grass police, they do not like you sitting on their grass and having a picnic, there are signs asking you to stay off the grass. This is the place to come to on a Sunday afternoon, situated just behind the Prado museum, people come to this park to roller skate, job and play boules or “petanca” as they say in Spanish. What is different to this park as opposed to those in the UK is that there are lots of open air bars or “terrazas” where you can get an alcoholic drink. The park is also home to the Crystal Palace which is made completely out of glass. I have heard of this square so many times before I came here. 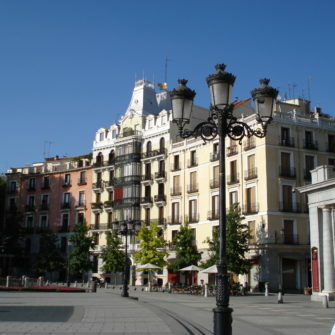 It is the main square in Madrid, just south west of Puerto del Sol. It is a very old square, built between 1617 and 1619 but it is the place to come to meet friends, have a drink or just chill out. 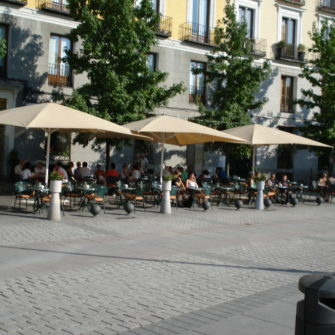 There are lots of cafes and restaurants in the plaza and the streets that run from it. 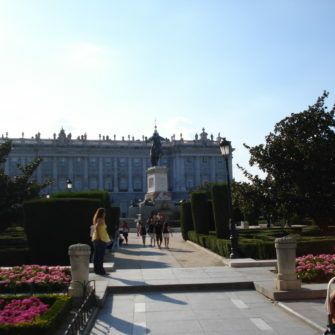 Sundays is a popular day in Madrid and here in the plaza is no different. 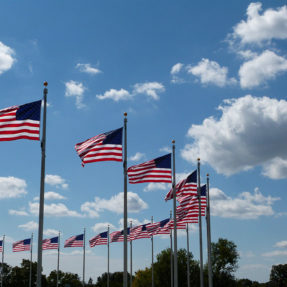 There are traders and buyers of old stamps and coins that congregate here. 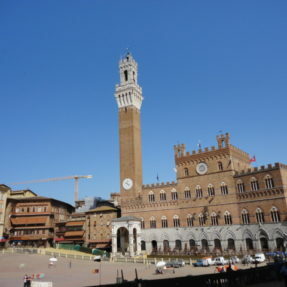 At Christmas, there is a big Christmas market and at Easter, the processions cut through the square. This street is where you have to come for shopping, it is also one of Madrid’s busiest streets so take some patience with you when walking down. 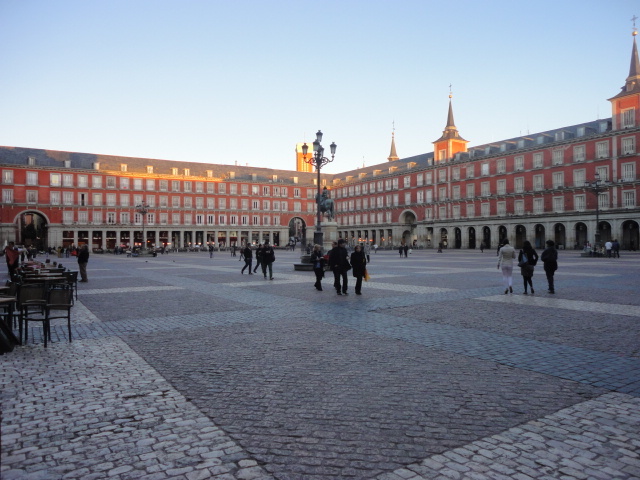 The road dates back to 1929 (an exhibition of 20th century architecture) and was designed to connect Calle de Alcalá which is on the east with the Plaza de España. The street had a lot of hotels which are now slowly being converted into shopping centres. Remember to look up while you walk down the street and admire the architectural design of the large buildings that sit alongside the Gran Via. I am not really the biggest fan of museums, but seeing as I missed this one last time, I think I will pay a visit to one of the finest museums in Spain. 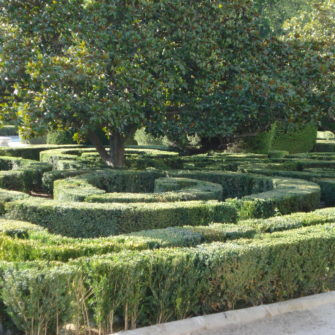 It is located on the Paseo del Prado, near the Retiro park which I did visit. 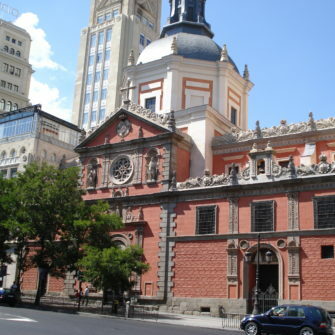 The museum has art work by Goya, El Greco and Hieronymous Bosch and is free to go to on Sundays. 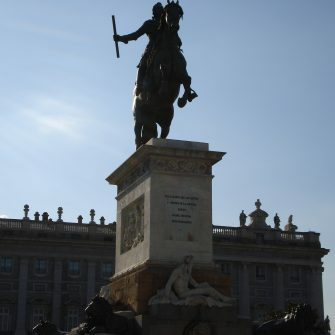 If you are busy on Sunday seeing family, go during the week and it only costs just under 8 euros (concession price) which is for the art triangle pass allowing you to see the Prado, Thysen and the Reina Sofia museum. I love these buses and recommend taking one in every city. It costs about 20 euros and will take you all round the main sites. If you want to improve your Spanish, listen to the Spanish commentary while looking at the attractions. I will be making more posts when I go to Madrid in just over a month, can’t wait.